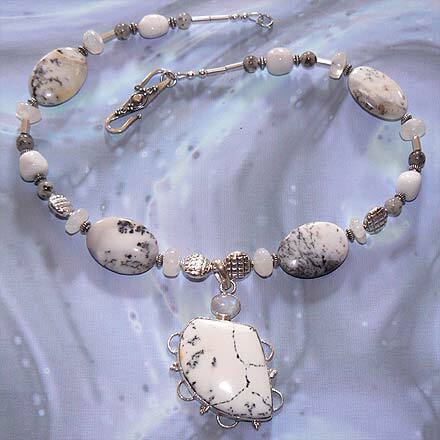 Sterling Silver Dendritic Agate and Moonstone Necklace. See Closeup. 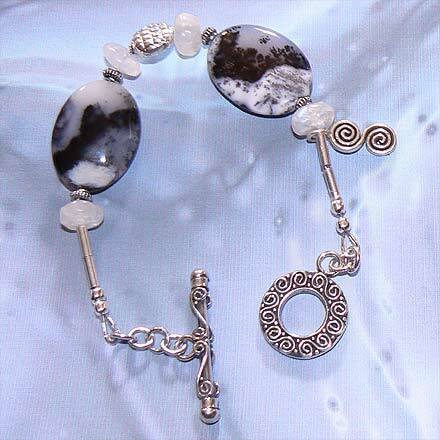 Sterling Silver Dendritic Agate and Moonstone Bracelet. 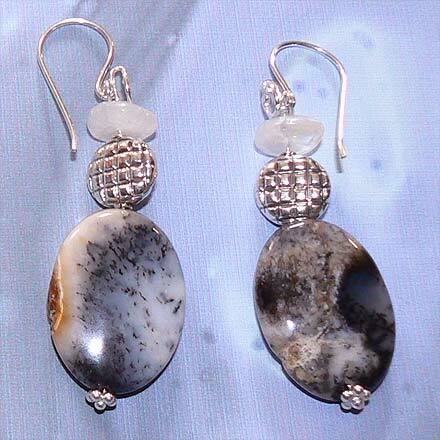 Sterling Silver Dendritic Agate and Moonstone Earrings. 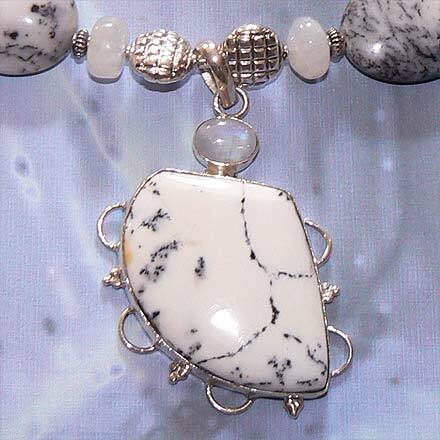 Strange dencritic crystal formations appear like oddly growing plants in this Agate.